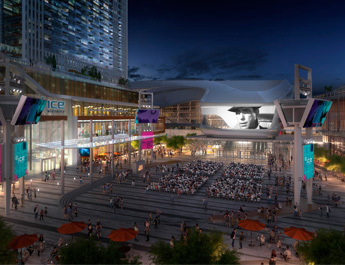 Opening in 2018, the ICE District will feature a brand new 50,000 sq. ft. Public Plaza, near the entrance of Rogers Place and Ford Hall. The plaza will feature public art, three media towers with video, audio, and lighting, and a large digital screen.